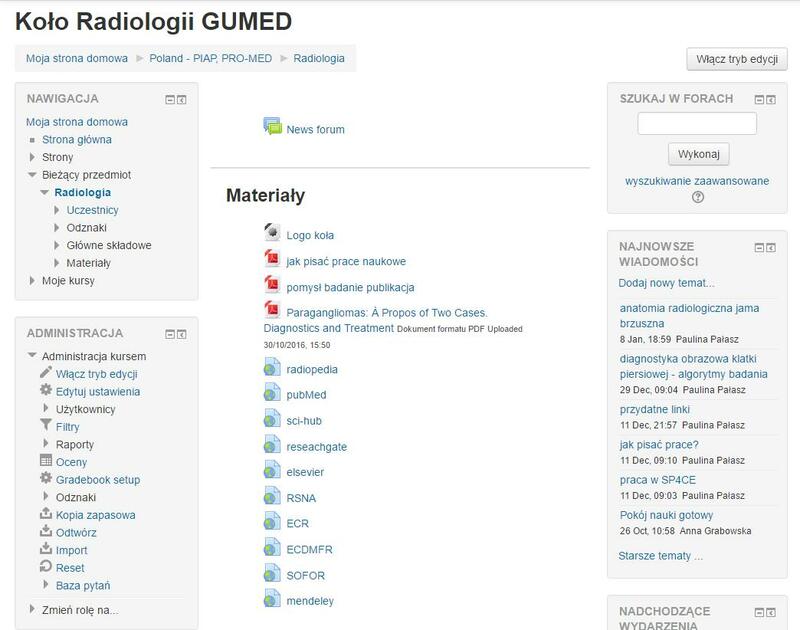 SP4CE Platform helps coordinate the activities of the Radiology Scientific Club operating at the 1st Radiology Department, bringing together students of the Medical University of Gdańsk. Members of the club use the SP4CE to implement university projects related to the club’s activities, to work on synopses, conference presentations, and papers for peer-reviewed journals. The Club’s website contains training presentations, useful links to websites, and updates about the club’s activities. The website is also used for data storage. 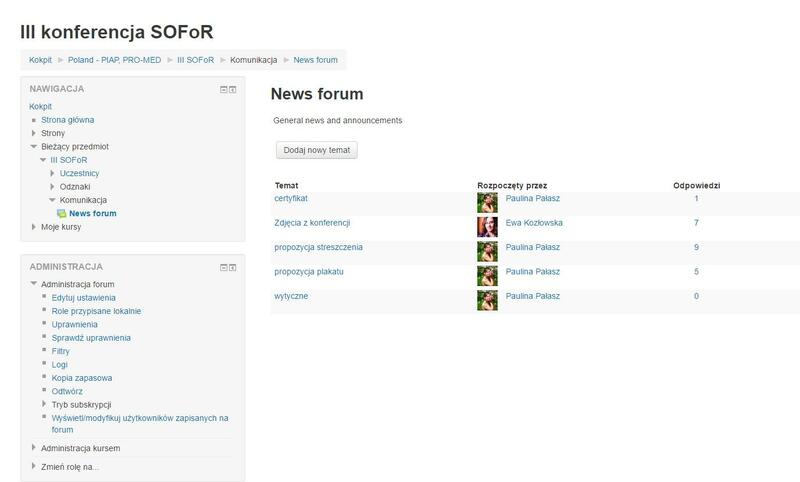 The SP4CE portal is also used to prepare training about dental and maxillofacial radiology dedicated to medical students. The Maxillofacial Surgery Scientific Club operates at the Maxillofacial Surgery Clinic of the Medical University of Gdańsk. Students work on synopses and presentations for scientific conferences. The Pediatric Dentistry Scientific Club operated at the Developmental Age Dentistry Chair and Clinic of the Medical University of Gdańsk. Members of the club use the SP4CE to implement university projects related to the club’s activities, to work on synopses, conference presentations, and papers for peer-reviewed journals. The Learning Room is also used for data storage. Members of the Radiology Scientific Club used the SP4CE platform to help another student write his MSc thesis. The Learning Room was used for communication, to share experience and information about the work. Students posted updates on the progress of work, shared literature and reference materials, and published draft versions of the thesis. The next stage was work on a presentation for a radiology conference attended by physicians. All this work was done online. A Learning Room was also created where students from the Radiology Scientific Club and the Maxillofacial Surgery Clinic of the Medical University of Gdańsk have been cooperating with students of the Medical Engineering Department of the Gdańsk University of Technology. They discuss technical problems concerning dentistry and maxillofacial surgery. This cooperation is intended to provide technical university students with better understanding of the medical problems faced by engineers, and to make prospective healthcare professionals aware of the technical aspects of their work. The student collaboration may inspire students to create new solutions for the medical industry.